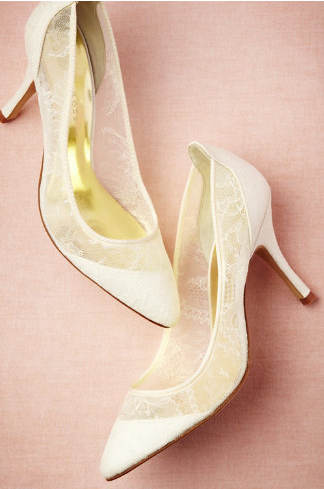 Chantilly lace and duchesses silk satin make for one beautiful pair of pointed-toe pumps! Specter Heels by Freya Rose from BHLDN. So pretty, and I love the gold insoles!